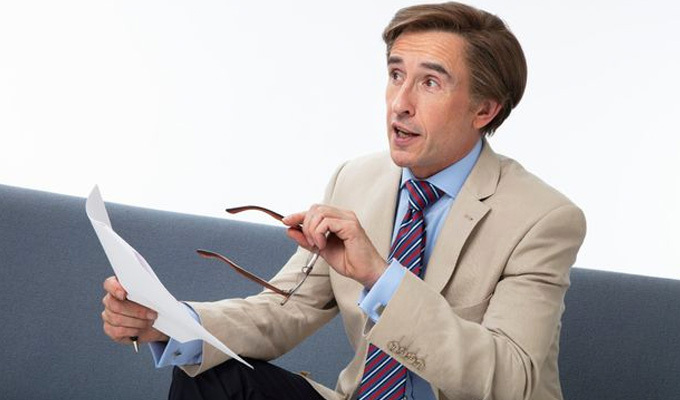 The overused phrase ‘long-awaited’ doesn’t seem to do justice to Alan Partridge’s return to BBC television, now as the co-presenter of a fluffy early-evening magazine show called This Time. At a preview screening at Broadcasting House last month, the Corporation’s comedy boss Shane Allen was quick to calm any nervous colleagues by insisting – not entirely convincingly – that the programme was ‘absolutely nothing to do with The One Show’. But while there are definite similarities, there is another programme whose shadow looms large over Partridge’s comeback; another featuring a clumsily self-important male host and a long-suffering female colleague, forever rolling her eyes at his buffoonery. 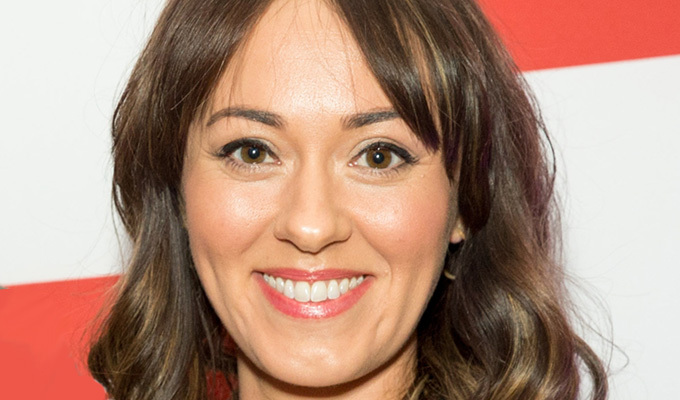 ‘I did study quite a lot of Susanna Reid’s straight-faced indignation,’ says Susannah Fielding, below, who plays Partridge’s co-host Jennie Gresham. ‘She is God in terms of her patience levels. It’s that fine balance between keeping the smile on but also but also controlling him, without actually saying anything, to be able to shut him down. That was really fun to play. But the rise of presenters like Piers Morgan means that the writers – Coogan plus brothers Rob and Neil Gibbons have got to gloss over the fact Partridge wouldn’t actually be a broadcasting pariah. Neil says: ‘What we had to overlook is that in the real world a presenter like Alan would be snapped up by a show like this because they're not really that bothered about truly professional broadcasting. They get more from someone saying something offensive, outrageous or thick – the buzz that gives you on social media is great. Still, a pariah Partridge has been – killing a guest on your show will do that for a career – until the BBC tentatively welcomed him back as a stand-in host for this fictional early evening show. When the comeback was originally announced, Coogan explained how hit could have been as a result of Brexit: the metropolitan elite panjandrums of the BBC getting a wake-up call from a middle England they had forgotten. ‘The world has slightly realigned itself along Alan lines,’ he says now. Not that Partridge is quite the shameless reactionary he once was, Coogan suggests. ‘He has developed his views,’ he says. ‘Twenty-five years ago he was an unreconstructed uber-conservative Little Englander. Now he's trying to be socially liberal as he knows that's what you have to be, even if you are fiscally conservative. He’s a bit more Cameron-esque. Even some racists in this country know to be quiet about it. It’s clear all three writers are meticulous about the details of the show, and Coogan excitedly talks the precise timing of an aside in one episode. ‘The appearance of things being random is the result of quite surgical work,’ he admits. They even had a meeting over the size of the steps in the studio to make sure Alan couldn’t walk up them smoothly, he had to take two steps and then one, to look especially awkward. In the comedy series, we also get to see what happens when the cameras are turned off on magazine show as it cuts from the studio to pre-recorded segments. Here we see Alan and Jennie turn off their TV faces to reveal what they are really thinking. ‘When you have Alan on camera you don't know his prime thoughts as he's always aware of being watched,’Coogan says .’There a dividend in that because you can see him modify his behaviour and that can give you a lot of comedy. The premise of This Time allows the viewer to see a little of both. Coogan again gets technical when he talks about the framing of these candid shots – which he learned from Mid-Morning Matters. The writing trio reveal that they rework scripts right up to the last minute – although they have to be ‘careful you don’t confuse a new joke with a better joke’, Rob admits. But once the script is set, improvisation is not encouraged. Three writers means every decision can be put to a vote. But ‘we don’t care enough to have a fight over it,’ Coogan admits. And despite being the star, he doesn’t always get his own way – since he doesn’t sit in the edit suite where the final decisions are ultimately made. The other part of the on-air team of This Time is Simon Denton, formerly Sidekick Simon from Partridge’s digital radio days. And the team are full of praise for Tim Key, who plays him. ‘I never get how well-known he is in the mainstream but there's no funny a man out there,’ Rob says. The inevitable question is whether Coogan gets bored of returning to Partridge time and again – especially as his career takes off in other ways, as Stan and Ollie (but probably not Holmes and Watson) attests. ’The success I have in other areas makes me more excited to do Alan because I enjoy it,’ he says. ‘You’re also in a strange situation because not many people have comic characters who have been around for so long. 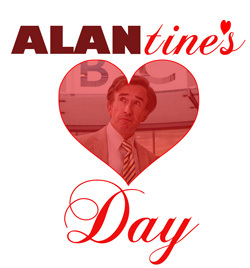 This Time with Alan Partridge will begin airing on BBC One at 9.30pm on February 25, it has been announced today.